Here is a must have gift! It is great for secret sister gifts, a gift for a fellow employee, a stocking stuffer, your teenager, etc. This is a portable charger from myCharge. Now, I don't know about you, but I often get the excuse, "My phone was dead." just about anytime I can't reach my husband or children. Well, myCharge can help solve that problem. 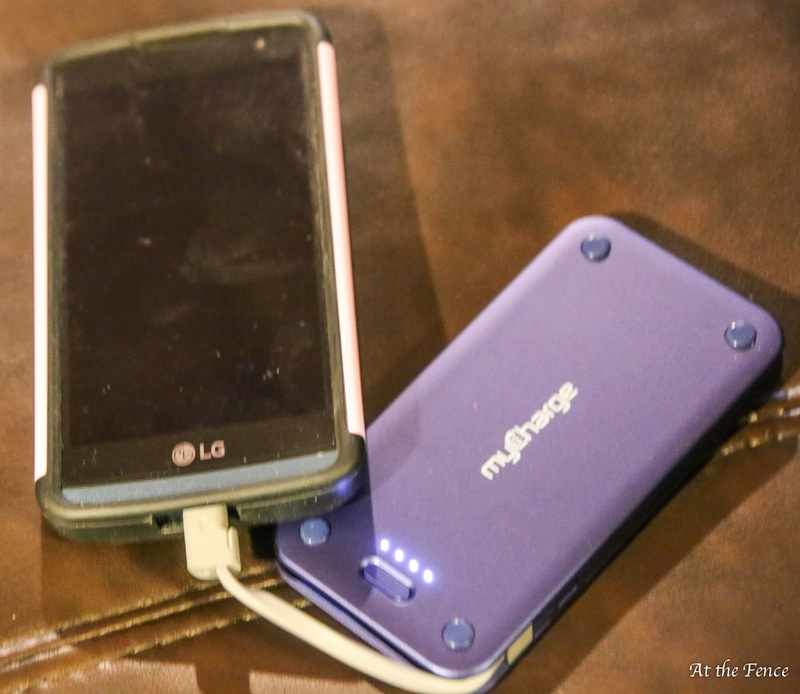 myCharge portable chargers are made for just about any smartphone. 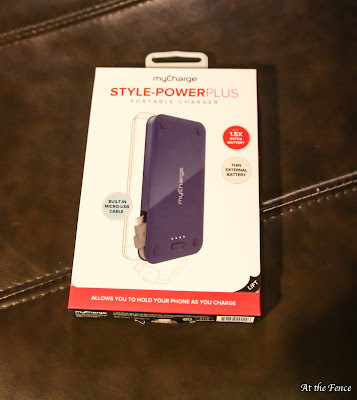 We have the Style Power + I chose the one for a android phone, because my husband is the main offender when it comes to not having a charged phone. He also has trouble keeping track of cords, so this should work out pretty good for him. The micro-usb cord to attach to your phone is built in. That means he can not lose the cord. The charger is very light weight, and can actually be held at the same time you hold your phone. Small rubber bumps on the charger make it easy to hold behind your phone while it is still being charged and you need to talk because they keep it from slipping. The power button not only powers your charger, but pressing it will allow you to see if you need to recharge your portable charger. the four lights right above the power button show the power level left. 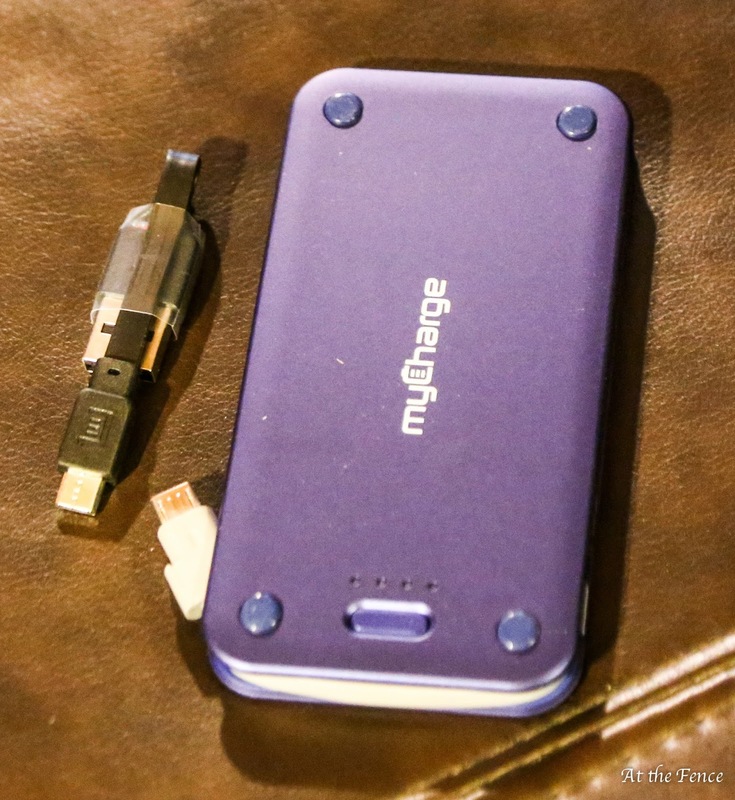 myCharge comes with a charging cable and the quick start guide. I tried it with my phone, since my husband and I have the same phone and it worked GREAT! You will find many different size and capacity chargers at myCharge. Thanks for visiting today! See you soon! This is a great idea for a stocking stuffer for my daughters. It would bring me peace of mind knowing they will always have their phone charged. This would be a great gift. Our family always needs something charged.